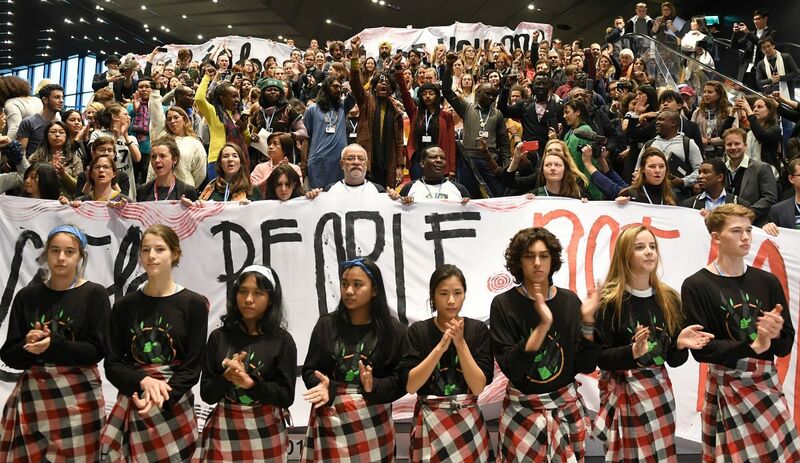 In the final hours of COP24, human rights activists lament that many nations still consider human rights a bargaining chip in climate negotiations. 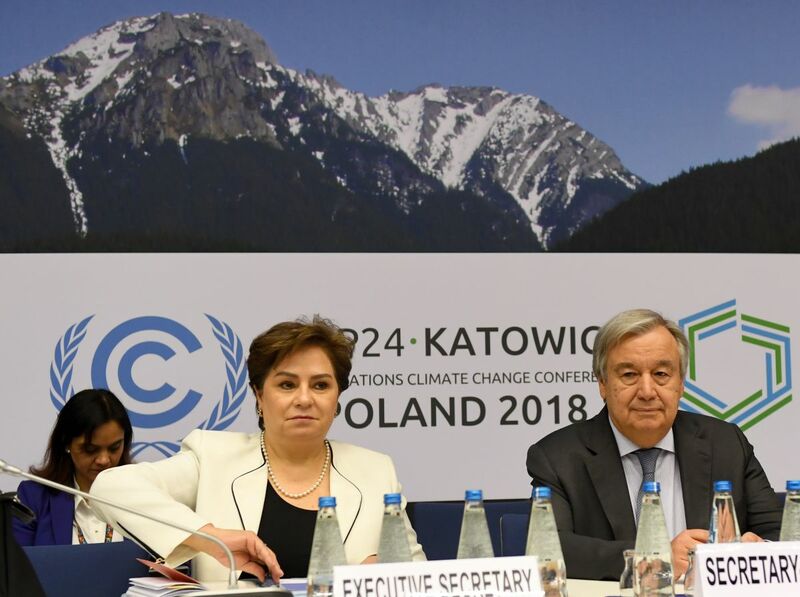 U.N. Secretary General António Guterres and Executive Secretary of United Nations Framework Convention on Climate Change Patricia Espinosa attend a meeting with representatives of various NGOs before the final session of the COP24 summit on climate change in Katowice, Poland, on December 14th, 2018. The dueling sirens of police escorts shuttling VIPs around Katowice, Poland, reached a crescendo during the second week of the 2018 United Nations climate conference, as high-level ministers from around the world arrived in the Polish city to finalize the details of the Paris Agreement rulebook—the set of guidelines that countries will use to realize the promises they made three years ago in Paris. With just days to go before the deadline, and dozens of details yet to be worked out, a procession of foreign ministers and U.N. officials took to the plenary stage on Friday at COP24 to urge countries toward more meaningful action. 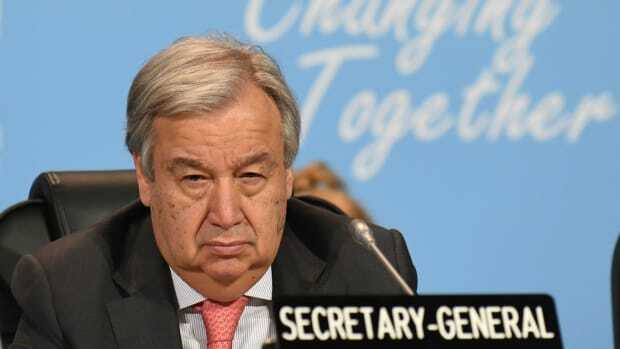 The U.N. Secretary General Antonio Guterres flew back to Poland twice this week to warn negotiators that a failure here "would not only be immoral, it would be suicidal." Frank Bainimarama, Fiji&apos;s prime minister, called on countries to act or "enter history as the generation that blew it, that sacrificed the health of our world and ultimately betrayed humanity because we didn&apos;t have the courage and foresight to go beyond our short-term individual concerns." One observer summed up the speeches as "quite a lot of theater with little impact on carbon dioxide levels in the atmosphere," a sentiment that could apply just as easily to the COP proceedings more broadly. By the end of week two, many issues remained unresolved—much to the chagrin of climate activists and observers. "We&apos;re tired of all the talking and blaming each other," says Hindou Ibrahim, a senior indigenous fellow with Conservation International. "The technicians the first week said they&apos;re waiting for the politicians. Then the politicians came. Who are they waiting for?" 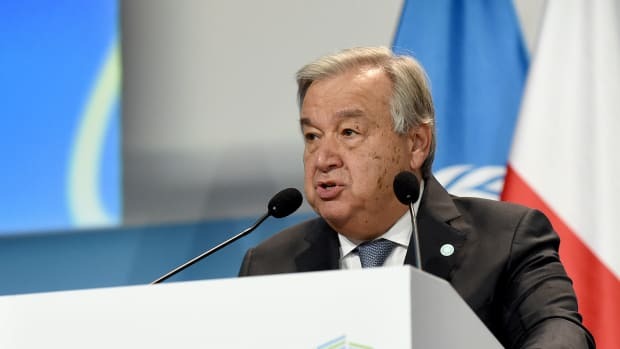 The sticking points are the same as ever—climate finance, loss and damage, whether countries should "welcome" or "note" the findings of the latest report from the Intergovernmental Panel on Climate Change, and so on. The IPCC report found that the world has just a dozen years to cut global emissions in half and limit global warming to 1.5 degrees Celsius—or else face catastrophic consequences, including erratic weather, food and water insecurity, and hundreds of millions more people pushed into poverty. The report also underscored that environmental action and social protections aren&apos;t at odds. "We often hear we have to pick a priority: Do we tackle climate change, or do we do a social and inclusive transition?" says Sébastien Duyck, a senior attorney with the Center for International Environmental Law. "But reducing emissions rapidly and keeping temperatures below 1.5 degrees is also an imperative from a human rights perspective. It&apos;s not one or the other." Indeed, Duyck adds, climate action is much more effective and efficient when it includes public participation, indigenous rights and knowledge, ecosystem integrity, and human rights more broadly. Last week, I sat with a Polish man named Marcin outside the Spodek, a saucer-shaped arena on top of a former coal mine in Katowice, Poland, where the welcome party for the U.N. climate conference was well underway. (Marcin was one of the technical support staff for the conference.) As we listened to Polish blues and multilingual chatter, Marcin told me that, all over the region, coal miners would be celebrating as well: It was the feast of Saint Barbara, the patron saint of coal miners. His father had worked in the mines, Marcin told me, as he removed his watch to show me the emblem on the back. After 25 years in the mines, every miner receives a Swiss watch, engraved with two pickaxes in the shape of an "x," and Marcin&apos;s father had passed this one down to him. 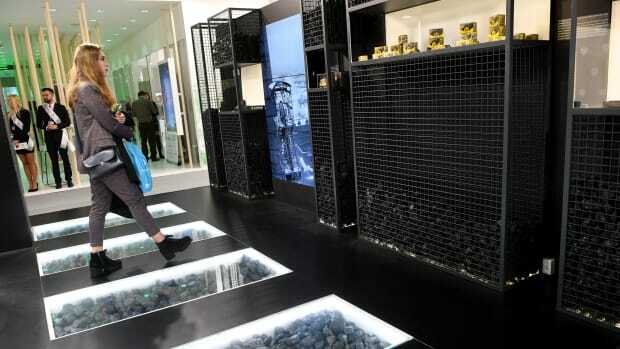 For three days, he&apos;d heard everyone around him talking about coal, he said, but no one was talking about the miners. 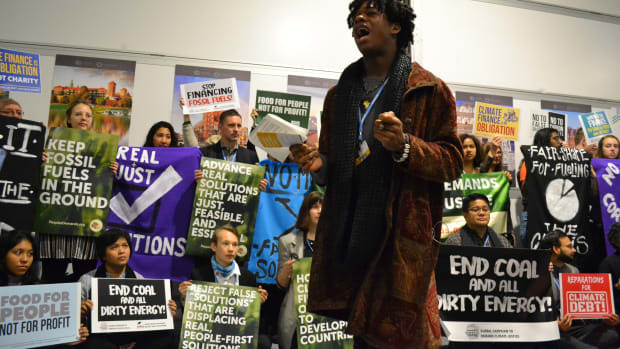 Billed as the "Just Transition" COP, this year&apos;s conference was meant to be the one that prioritized the rights and needs of workers whose livelihoods are dependent on fossil fuels, so that they don&apos;t suffer as countries work to decarbonize their economies. But by the end of the second week at COP24, climate and human rights advocates are not optimistic that COP leaders&apos; declarations calling for social protections in climate action were anything more than empty words. Civil society, already enraged by the Polish government&apos;s decision to deny entry or deport more than a dozen climate activists, say they were were disheartened to see negotiators "systematically" strip hard-fought language about human rights and public participation from the rulebook text. "While this is maybe not part of direct state repression, the exclusion of human rights as part of the rulebook is testament of the ignorance toward the interrelation of social and environmental conflicts," says Florian Carl, a campaigner with Protect the Planet who was denied entry to Poland when he arrived at the Katowice airport. "As governments fail to adequately deal with this, the tensions increase." 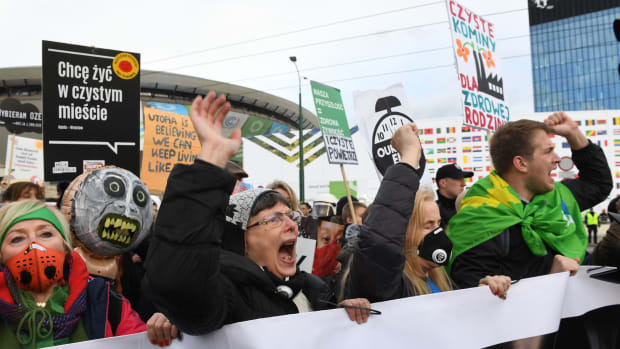 Members of the Global Campaign to Demand Climate Justice protest ahead of the final session of COP24 in Katowice, Poland, on December 14th, 2018. 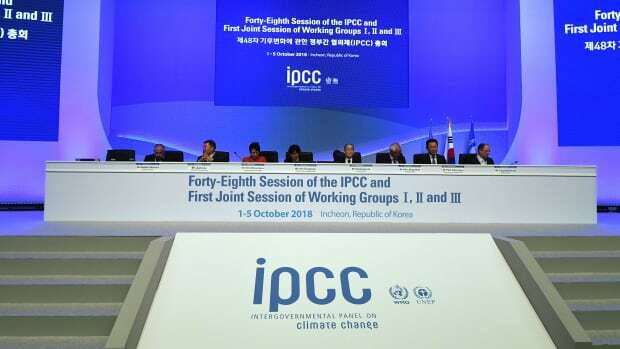 It was a battle even to include references to human rights in the Paris Agreement at all, according to Chiara Liguori with Amnesty International. "To be honest, human rights have never been a priority at climate change conferences," she says. "The Paris Agreement was the first climate agreement that recognized human rights." Even then, explicit references to human rights, gender, indigenous peoples, and public participation were included only in the preamble to the agreement. But in the text of many sections of the Paris rulebook, negotiators have included only veiled references to this preamble, Duyck says—and that means watering down the UNFCCC&apos;s already weak human rights protections. "In the chapter on implementing countries&apos; Nationally Determined Contributions, or NDCs, for example," Duyck explains, it "said as of Friday that countries should consider &apos;other contextual aspirations and priorities that parties acknowledged when joining the Paris Agreement.&apos;"
"That&apos;s a very hidden reference to the preamble, hence to human rights," Duyck continues, noting that people outside the climate negotiations might easily miss the reference as they develop climate mitigation strategies. "Everyone knows what it means here [at the COP]," he says, "but then look at your national civil servant and ask him, &apos;Please, tell me how you took into consideration contextual aspirations and priorities that you acknowledged when joining the Paris Agreement.&apos; Good luck." And there&apos;s a high risk that climate mitigation projects that ignore human rights and social protections will ultimately fail. A European Union-sponsored water conservation project in Kenya&apos;s Embobut forest was shut down early, after Amnesty International found in May that the Sengwer indigenous people who lived there had been forcibly evicted from their homes. After a Sengwer man was killed earlier this year, the E.U. suspended funding for the project. "The evictions were not a direct consequence of the E.U. project, but the E.U. failed to conduct a human rights impact assessment," Liguori says. "This is an example of how failure to include human rights considerations in the designing and implementation of climate projects can actually result in the delay or suspension of projects." The reverse is true as well, as good human rights policy strengthens climate policy. "Projects and policies consistent with human rights are stronger, enjoy wider public support, and allow to deliver quicker on the climate mitigation targets," she says. The case for human rights does have champions at the negotiations—including Norway, Mexico, Costa Rica, and Canada, which have worked closely with the Indigenous Peoples&apos; Caucus throughout the talks—but human rights advocates aren&apos;t optimistic the language of the rulebook will improve in the waning hours of the negotiations. "We have been told even by friendly states that it&apos;s probably not going to happen," Liguori says. "Nobody has really pushed hard for [including human rights]; it has always been seen as something that could be used as a negotiating tool, to give away for other things that are more important." And there are many countries that are simply "allergic" to the language of human rights and gender, according to Duyck, even though every single party to the Paris Agreement or to the UNFCCC has ratified at least three international human rights treaties or instruments. "It&apos;s not like we tried to impose recognition of the rights of women to countries like Saudi Arabia, that unfortunately do not want to recognize those," Duyck says. "We want to see that, but we recognize that this is not the place where you try to get these rights in through the back door. "Our frustration is, what about the other [countries], those that don&apos;t have an irrational opposition to those principles, [but] that don&apos;t stand up here? What about all of those governments that tell us, &apos;Yes, very important, totally onboard, just we need to focus,&apos;" Duyck adds. "We&apos;re trying to explain: Look, read the IPCC report, learn from it, and see that if you want to get to 1.5 degrees, don&apos;t see public participation as an afterthought. That&apos;s your pathway toward it."